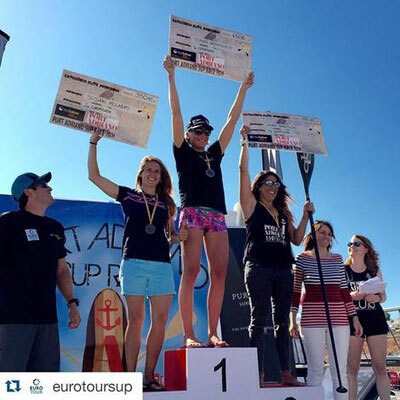 After a winning St. Maxime and Lost Mills its now 5 major contest in a row! 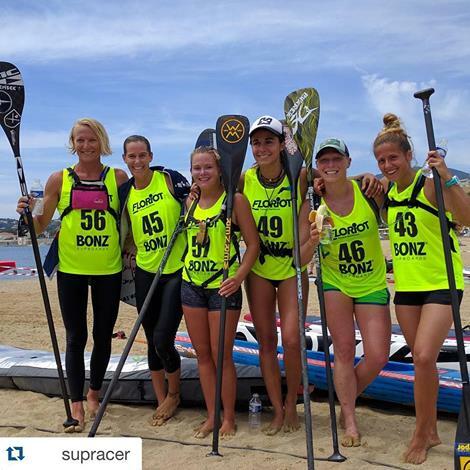 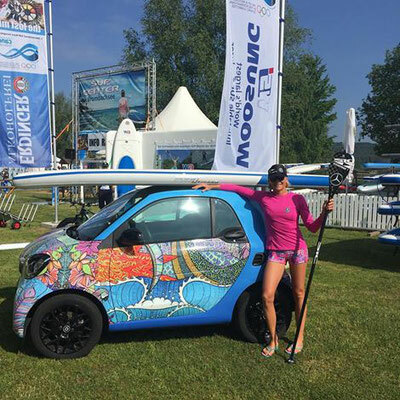 PFOFELD, Germany - Taking home another 1st place podium at The Lost Mills International SUP race in Germany over the weekend, SIC Maui Global Team Athlete Sonni Hönscheidis dominating any race she enters this season. 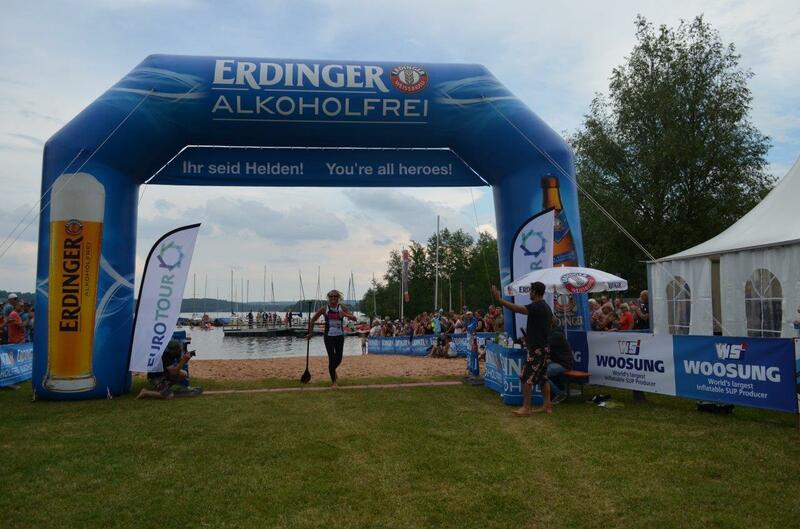 The Reigning Euro Tour champion Hönscheid entered The Euro Tour week 2 with a victory in Port Adriano, Spain on Mallorca finishing with a time of 1:01:15 just behind the men's top 10. 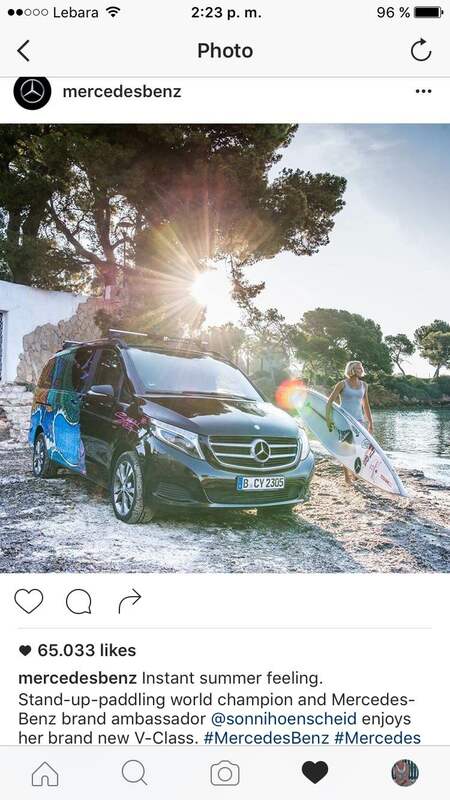 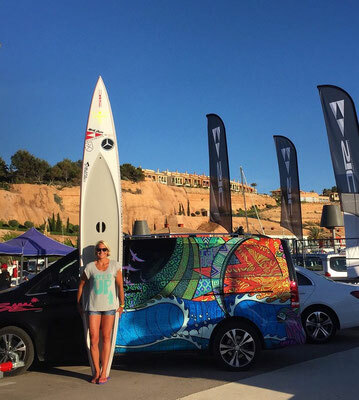 Since Mallorca, Hönscheid has been on the road in her Mercedes V-Class van hitting every stop in The Euro Tour, grabbing 1st place podium spots at each race. 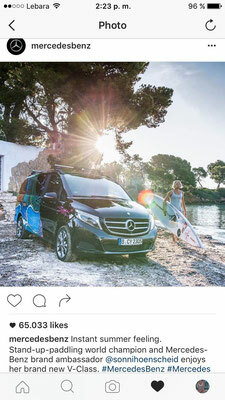 "I am really lucky to be a brand ambassador for Mercedes, having such a great ride makes travelling through Europe so easy and enjoyable. 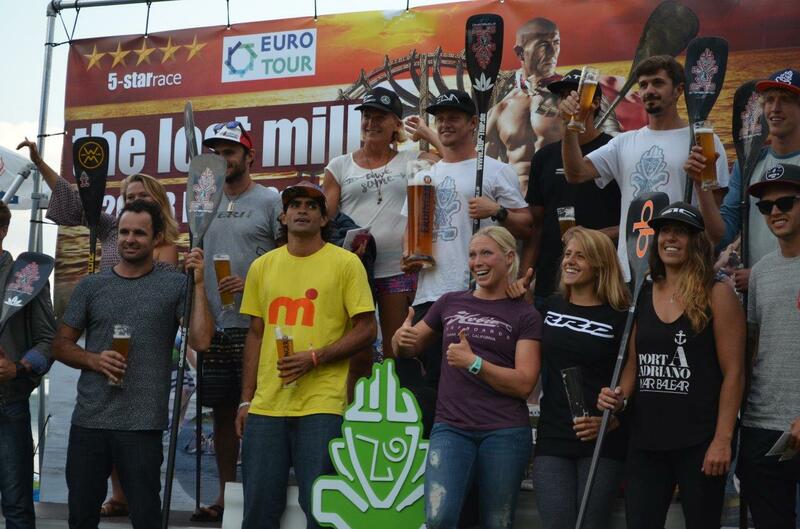 The first tourstop was in Mallorca, really challenging conditions, but that is exactly what I like. 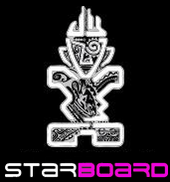 I used my X-14.0 Pro-Lite, for being a true flatwater board, it works well in those conditions. 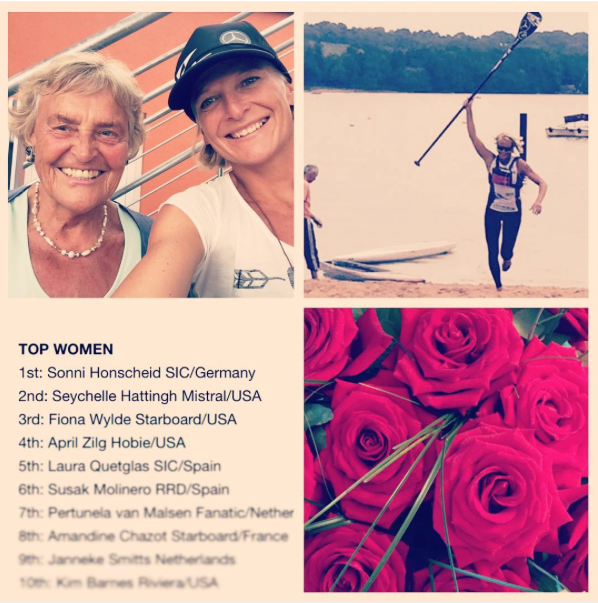 ""The next stop was Saint Maxime - more athletes arrived increasing the level of competition even more. This race was a time combination of technical race & long distance races. 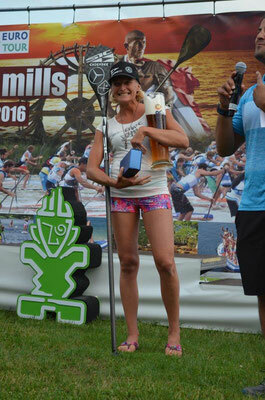 I was able to win both of those races, taking first place. 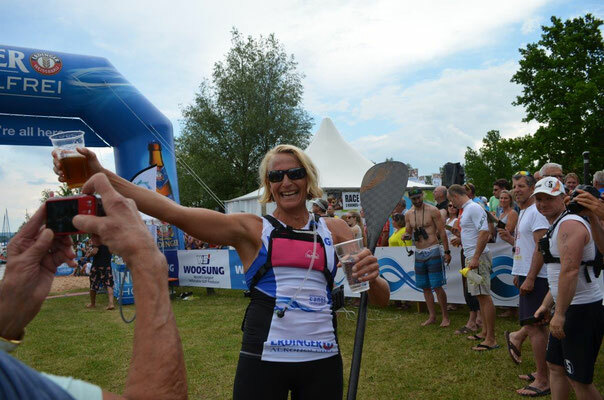 After that, we switched the baguette for Weisswurst leaving to the Brombachsee in the heart of Bavaria." Hönscheid finished on top of the podium at Saint Maxime on the French Riviera with a time of 46:06 and 1:40:58 totaling 2:27:04 for the win. "The Lost Mills is one of the biggest races in Europe, amazing location, pure flatwater... 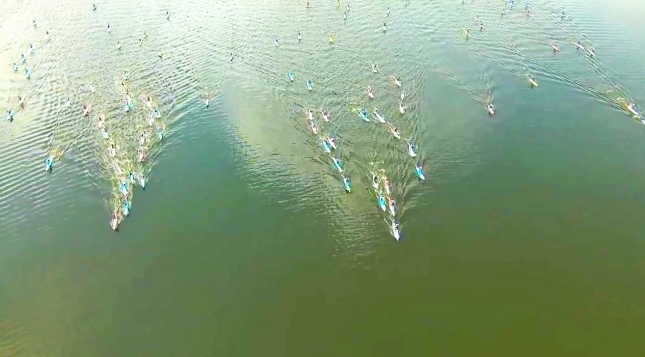 I knew this race was going to a mental challenge because there is a lot of drafting involved, definitely not my favorite. But I was able to get rid of the crowds and paddle my own race, arriving to the finish line by almost 2 minutes before the 2nd place finisher." Hönscheid completed The Lost Mills International SUP Race with a clocked time of 2:02:11 over second place finisher Seychelle Hattingh. 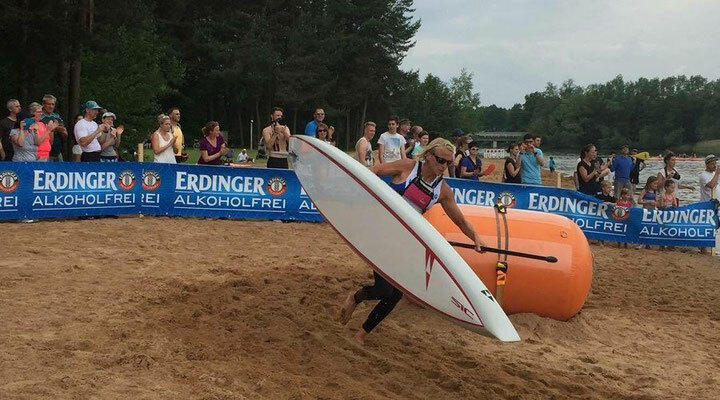 "My biggest reward was the surprise visit from my granny & of course a cold Erdinger beer," Hönscheid said smiling.